When considering the implication of the Disability Discrimination Act and the Equality Act regarding commercial flooring you need to be fully aware of the importance of Light Reflective Value. Read on to find out more. If you are managing a new building construction project or you are involved in the supply of materials for such a project (and this can include building refurbishment and renovation work) you need to be fully aware of the DDA (Disability Discrimination Act) and the Equality Act. 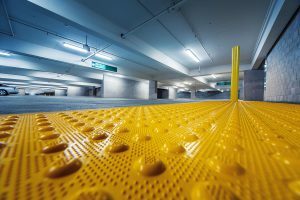 You will need to take these into account when specifying materials – especially commercial flooring or safety flooring. By ensuring that the commercial flooring materials (the type used in commercial premises such as shops and factories etc. 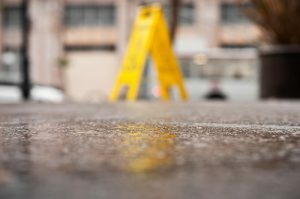 comply with all aspects of the DDA and also section M of the Building Regulations, premises owners can safeguard their businesses from injury claims and any ensuing law suits. According to the DDA, employers the business owners have a duty of care to ensure people who have disabilities are not disadvantaged in any way by the premises they work in or visit. The Equality Act came into force in 2010. It has in effect replaced The Disability Discrimination Act, and it states that all new/refurbished buildings that are visited by members of the general public, and places of work, must meet current regulations by ensuring that any such buildings are freely accessible to all as per BS8300/Building Regulations Approved Document “M”. With regard to anyone with a visual impairment, it is important that certain elements of a building stand out from their surroundings. These elements include doorways, stairs, ramps, fixtures and fittings. The way this is done is by the use of colour contrasting, which is measured via what is known as an object’s Light Reflective Value (LRV). LRV measures how much useful light gets reflected by specific coloured objects. But it’s not a measure of colour; it’s a measure of light and dark. The scale runs from 0 to 100 with pure black being 0 and pure white, 100. It is possible that different colours could have similar LRVs. The fact is that most people who are registered blind can actually discern colours. Less than 5% are totally blind. So, contrasting colours is important to the visually challenged, and accordingly the old DDA and the Equality Act, colour contrasting should involve colours whose LRV ratings are at least 30 points apart. This relates to things such as doors, Doorframes and walls; floor/wall unions; walls and handrails, and walls and sanitary components. 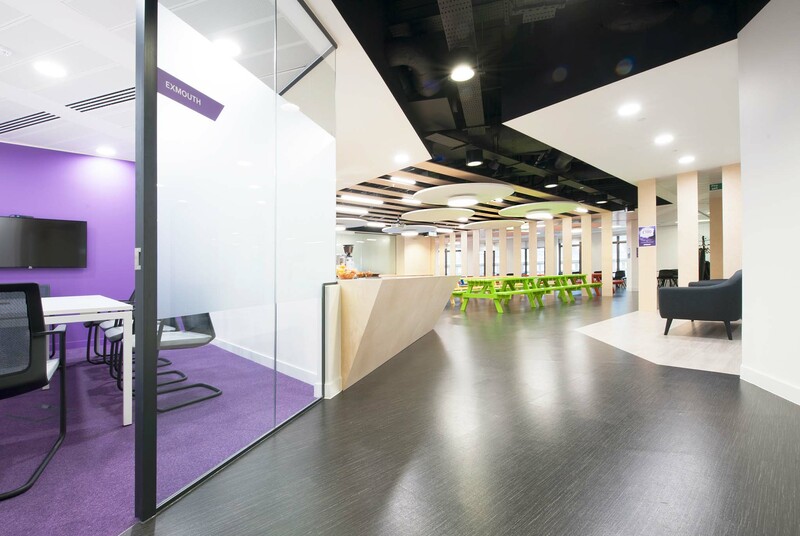 When it comes to commercial flooring, including commercial carpets and carpet tiling, ramps and stairs, being aware of the regulations specified in the Disability Discrimination Act and the Equality Act is absolutely essential. This is especially the case in certain establishments that are open to the public, including the likes of care-homes, hospitals, restaurants, schools and shops. Making sure that floors are non-slippery and that floor surfaces are wheelchair friendly is a fundamental requirement. LRV and colour contrasting are important on any stairways with any stair risers being carefully chosen to stand out against the steps themselves.